There are so many occasions that one wants to share with others. 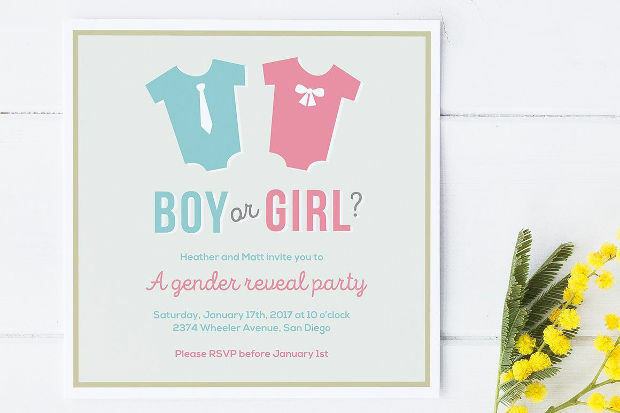 What a better way to plan an event, than to use invitation designs? 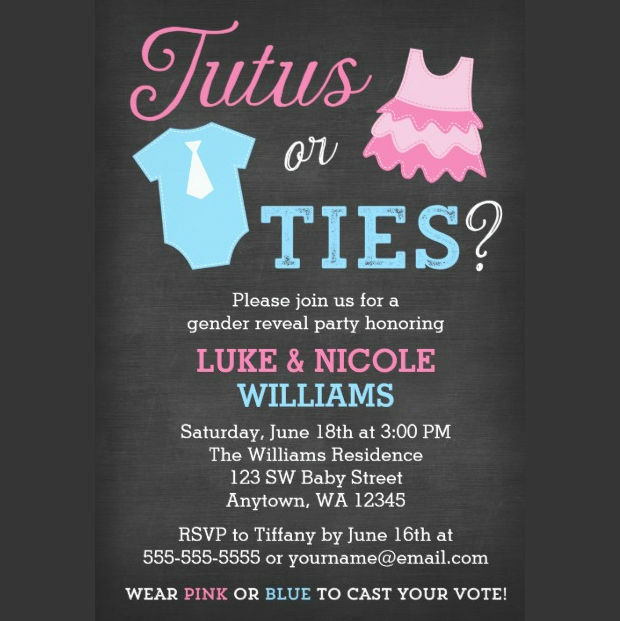 You will find stunning invitations that will help you organize many events like a gender reveal party. 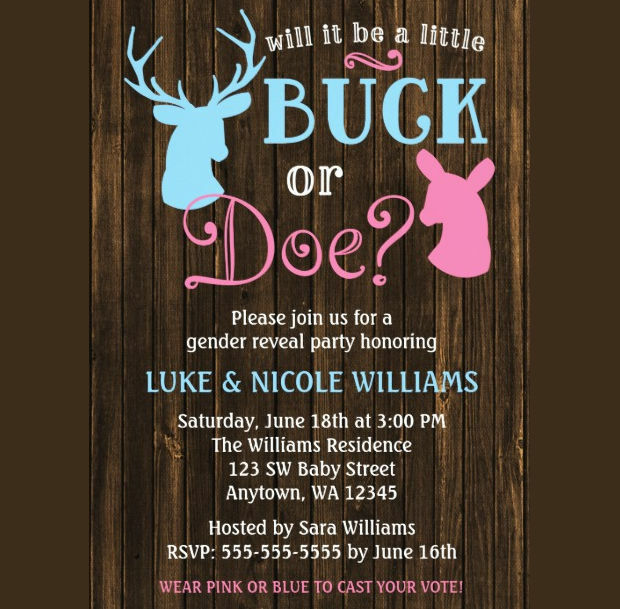 You can announce to your friends and family the gender of the coming baby with style through a helpful collection of gender reveal invitation designs that we put together for you in this guide. 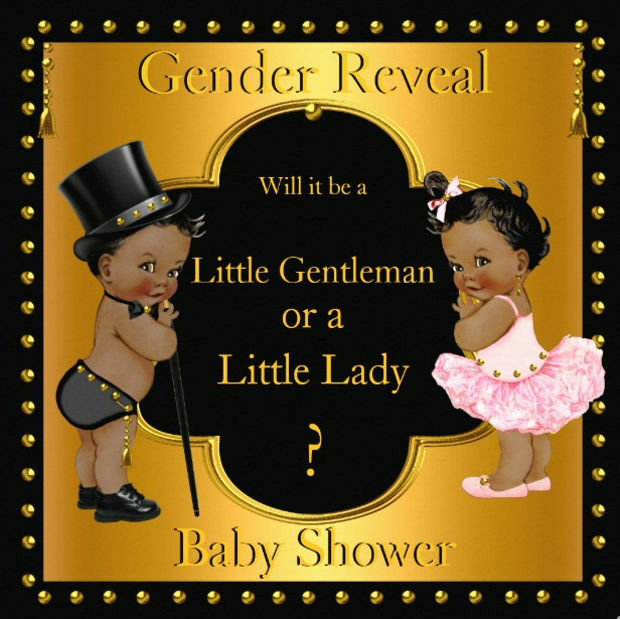 This design has a retro feel that is cute and revitalizing on many levels. The stunning design along with the clever message adds a fun note to start this beautiful event. The soft blue and pink colors add extra character. This colorful design looks a lot like a chalkboard with creative graphics and beautiful fonts. You can find it in digital and printed design to choose from. 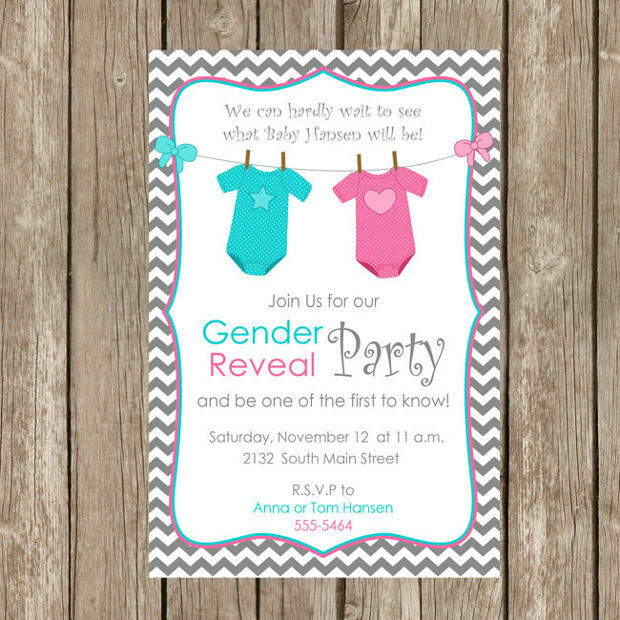 Yellow, pink and blue bring you a fancy invitation that is available in two sizes. 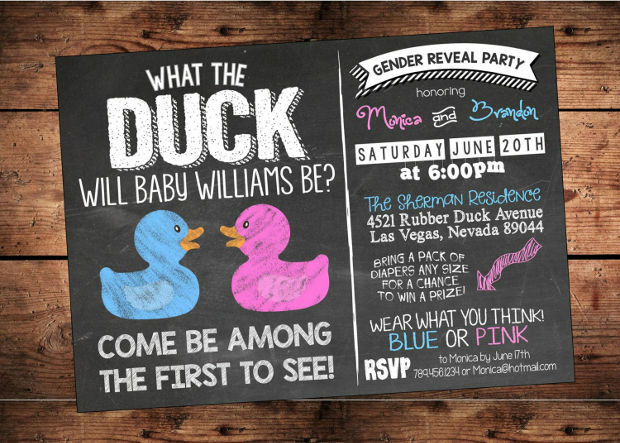 This chalkboard design has a grunge look that looks unique and stylish for party invitations regarding the gender reveal. 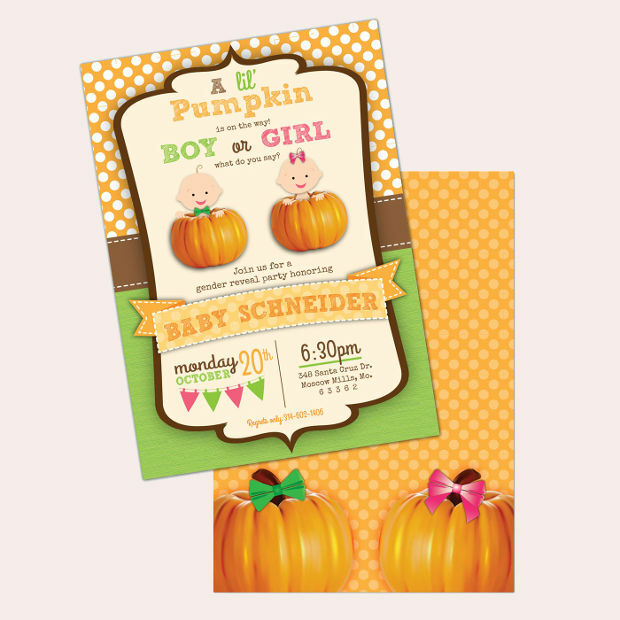 You can find it in a 5’’ x 7’’ size that is suitable for invitations and a striped border design with rounded corners. 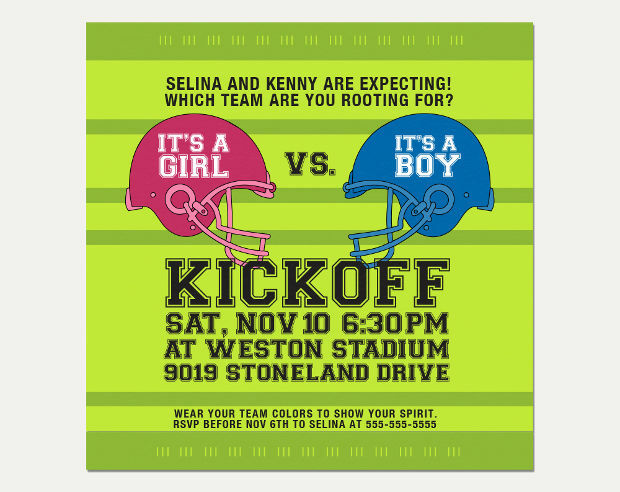 This green design with the sports theme is a creative idea that you can recreate for your own gender reveal party invitations. 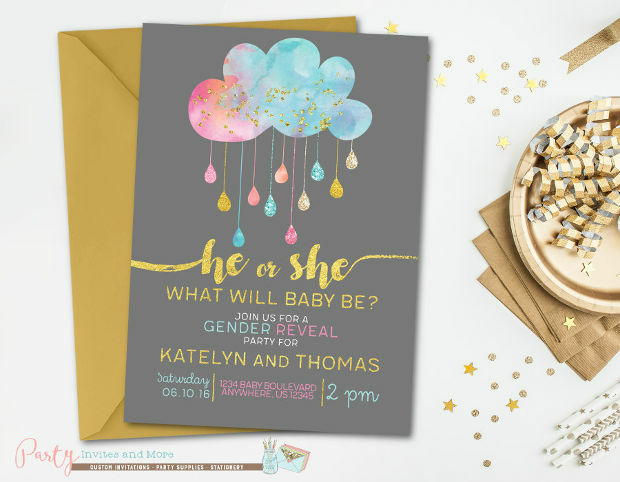 You can make your own party invitations with a design that features interesting messages and fancy fonts for extra style. 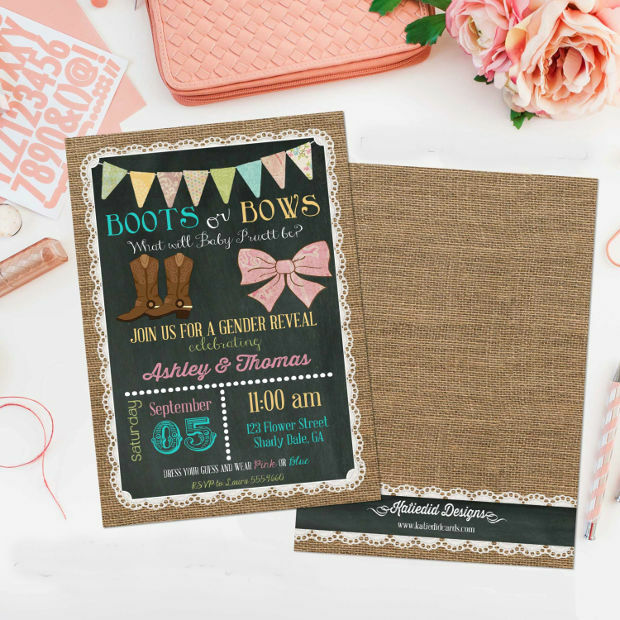 This cute design has a hand drawn look that will make the invitations look personalized and stylish. You can order it in one of the two available sizes for a digital design. They come in jpeg and pdf format file. 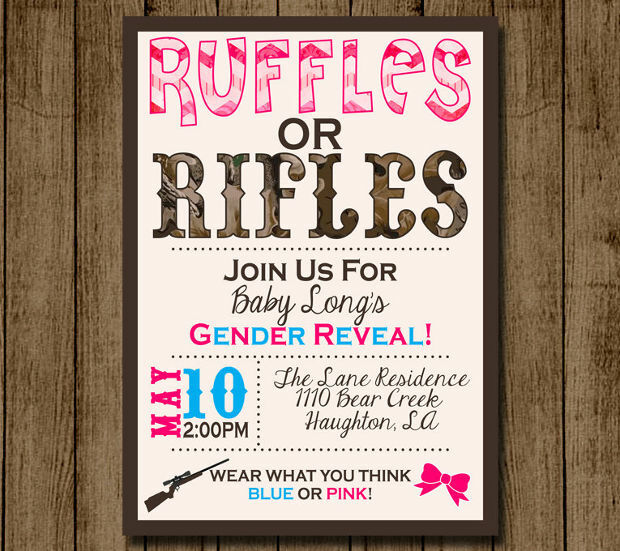 This gender reveal invitation will give you an incredible design that will make an impression to everyone. It is available in three different color versions to choose the one that suits your tastes while the 300 dpi resolution will give you excellent prints. 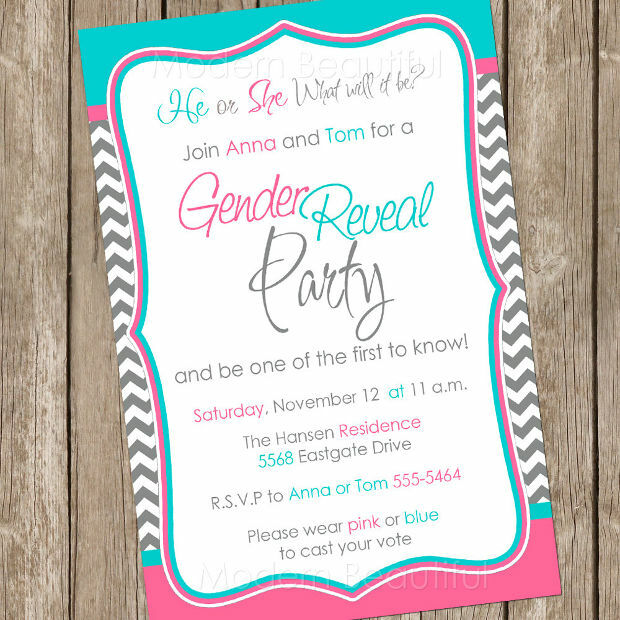 This blue and pink design has a stunning layout that is suitable for gender reveal parties. You can find it in digital and printed versions while it comes in two sizes to choose what fits your needs and personal tastes. 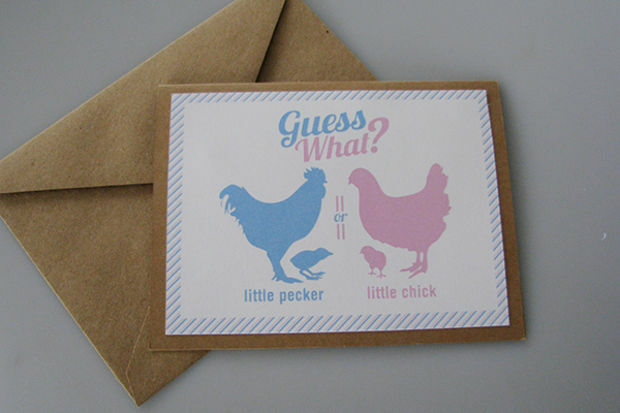 This cute design features boyish and girly features with stunning patterns at the top and bottom of the card. You can find it in a 5’’ x 7’’ size that will cover your needs perfectly. Also you can have a photo too. 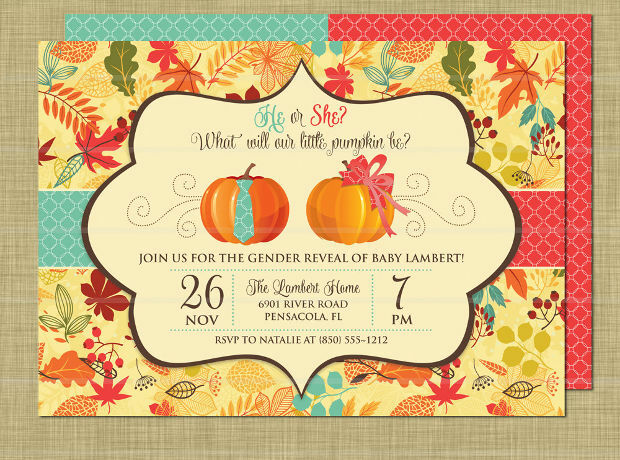 This fall inspired design will give you a majestic invitation for this special event. It is available in two color versions to give you choices while you can find it in printed and digital forms that will allow you to choose. 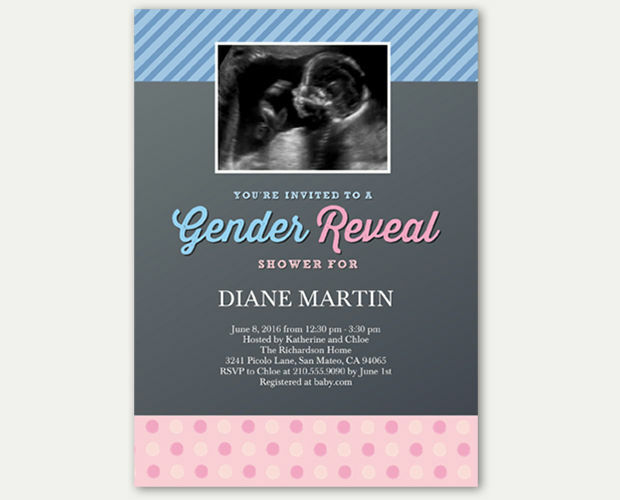 With these designs you will be able to create stunning invitation designs that exude elegance. 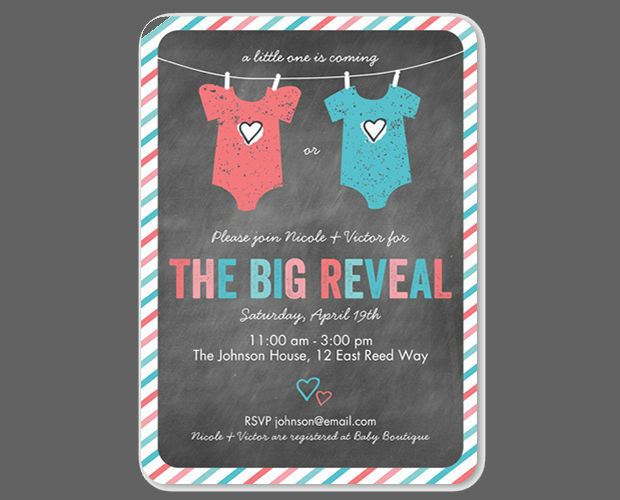 You can find them is many variations while you can combine them with baby shower invitations to get a double purpose event. No matter what you choose it will look fashionable and memorable for guests.